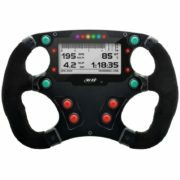 This is the beautiful AIM Formula Racing Steering Wheel 2, which has been designed with formula and sports cars in mind. 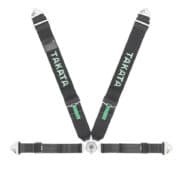 The body is made from a strong and durable anodised aluminium, with the hand sections being covered in a hand-sewn shammy leather ensuring excellent grip of the wheel. The wheel is available with or without shift paddles (select option from dropdown). 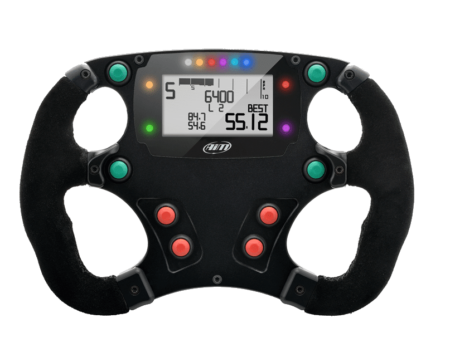 The Formula Racing Wheel allows the driver to see real-time information on the dash inset in the wheel itself. 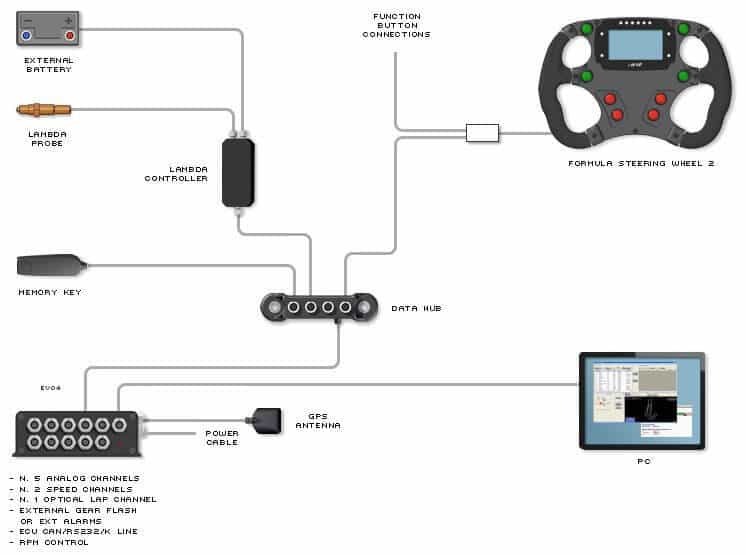 The information displayed must be acquired from an EVO4 logger or by a bridge connected to your ECU. A fully graphical display showing all supplied data in excellent clarity. 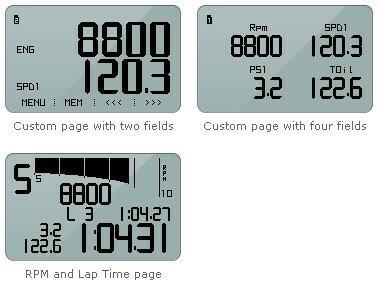 The display can hold up to 9 pages of data, which is fully customisable allowing 4 fields of data on each. Please see images for examples. 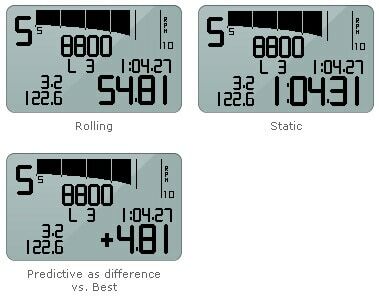 You can show rolling, static or predictive lap time as an absolute value or compared to your fastest. 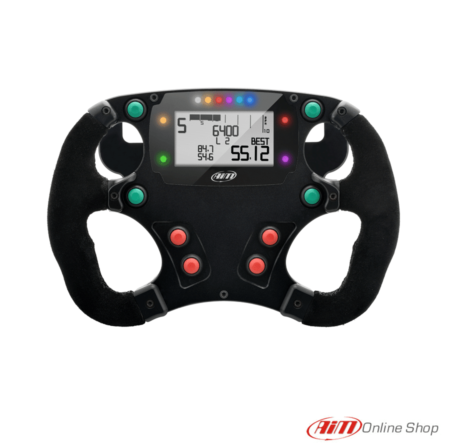 This tool is an absolute necessity for drivers looking to improve their lap time. Alarms can be configured in many ways, including displaying a message or a light. Rev lights can be configured for each separate gear, and each light’s colour can be altered ensuring your driver never misses a gear or an alarm. At the end of each session, summary data will be recalled including the four fastest laps, total run time and distance and maximum values for RPM and speed. Data pages, shift lights and alarms are easily configurable in the AIM Race Studio 2 software, using a like-for-like visual display. 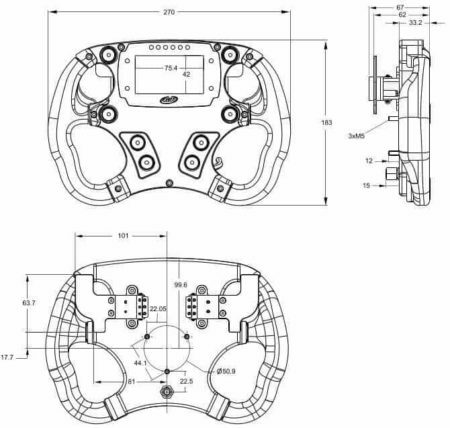 You can see an example in our images.